His comments came amid an ongoing debate about whether the wealthiest Americans should shoulder higher taxes, a proposal supported by newly elected Rep. Alexandria Ocasio-Cortez of New York and established Sen. Elizabeth Warren of Massachusetts, both Democrats, with a tentative proposal floated that those who make over $10 million should pay a 70% tax. 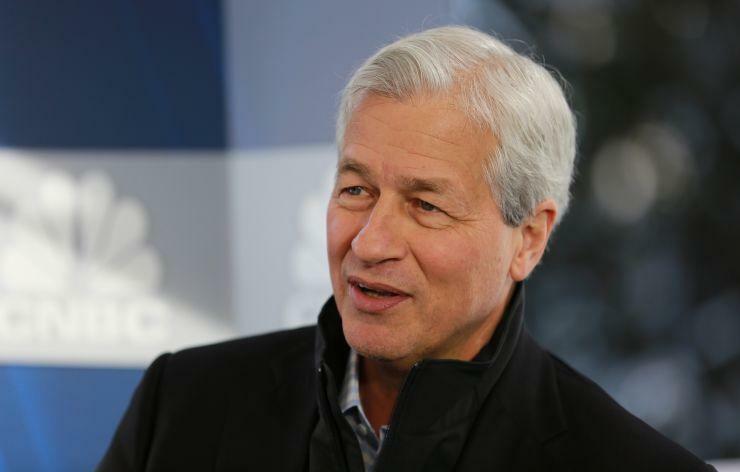 And while we applaud Dimon's faux generosity, we can't help but note that for billionaires - like Jamie Dimon - their wealth is not in current income, but in their accumulated assets, most of which happen to be financial and benefiting directly from the Fed's easy money policies, such as what Powell just unveiled moments ago when he surprised the market by announcing the Fed may adjust its balance sheet shrinkage. As such, we wonder if Dimon, or Buffett, or other "progressives" who are eager to participate in forced wealth redistribution would be just as enthusiastic if instead of having to pay 70% taxes on current income, the government hiked the tax on capital gains - which is where the bulk of billionaire wealth is to be found - to 70%. Somehow we have a feeling that billionaire euphoria for that proposal would be far more muted, and we wonder how long before the Democrat Socialists realize that taxing current income will do nothing to redistribute wealth and instead they should target accumulated wealth. Since it often these same billionaires who provide the "financial advice" to progressives, we wouldn't be holding our breath. Finally, if Jamie's conscience doesn't let him sleep at night after the US bailed out JPMorgan and then allowed the bank to flourish thanks to record low rates for a decade, he can always donate some of his personal fortune to pay down the US debt at the following page.